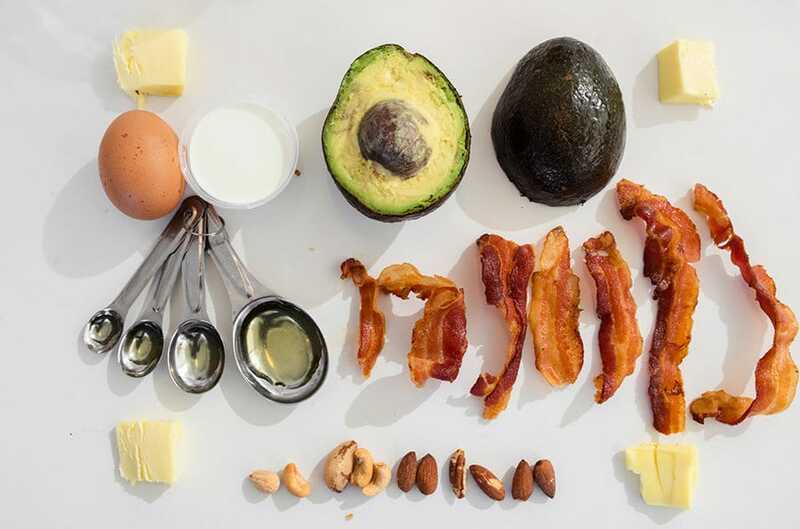 You are here: Home › Stayfitcentral Health & Fitness Blog › Health & Fitness Blog › Ask The Experts › Are Keto Diets Good Or Bad For Your Workouts? It’s long been said by many ‘experts’ that intense workouts and ketogenic (high fat/low carb) diets don’t work. The belief is that if you’re eating keto that you won’t have the available energy to push yourself as hard as when you’re consuming higher amounts of carbohydrates. I know from personal experience that this isn’t the case. I’ve been eating keto for over a year and doing intense workouts regularly. In this time I’ve lost more than 60 pounds of excess fat and gained muscle. I’m also continuing to get stronger and even faster. Just as important, I’m also much less sore post-workout and recover faster. This has helped me go from being able to lift weights 3 times a week to 7 or more workouts weekly. Until recently, all we had was anecdotal evidence like mine. While there have been long term studies (12 weeks or greater) with endurance athletes eating a low carb diet, none have been conducted using athletes that did high intensity, short duration workouts like lifting weights and sprinting. Fortunately the popularity of the keto diet has led to more research being done. We finally have results from clinical research to go along with the anecdotal evidence. Below is a review of a recently published study that measured the effects of a ketogenic diet on muscle mass, strength, power, and much more. One of the best things about this study is that the athletes followed either a high carb or keto diet for 12 weeks. Keep reading to learn why. In this study, 20 very fit, male endurance athletes were divided into 2 groups. The first group ate a high carbohydrate diet (65% carbohydrates/14% protein/20% fat). The second a low carbohydrate, high fat, ketogenic diet (6% carbohydrate/17% protein/77% fat). Both groups of men followed a high carb diet prior to the study so none of them were fat adapted when testing began. Everyone in this experiment did the same workout routine for the 12 weeks. This consisted of endurance, strength, and high intensity (sprint on a bike) workouts. Every subject had their body composition (weight and % body fat), endurance, and strength measured before and after the study. After 12 weeks, the guys following a ketogenic diet made better progress in every area tested. Check out the list below to see the what they accomplished compared to the high carb group. Endurance (60 mile cycling time trial) – the keto dieters took 4 minutes off original time, high carb group was only 1 minute faster. Weight loss – athletes in the keto group lost 13 pounds and the high carb group only lost 1.75 pounds. Fat loss – 5% decrease in keto dieters, .7% among high carb group.. Muscular power – increased in keto group, decreased in the high carb. Sprinting power – increased keto dieters, the high carb group’s power decreased. Blood tests done on all of the athletes in this study revealed that the keto dieters were in nutritional ketosis by the end of the study. This means they were burning fat instead of sugar for their energy during the post study tests. I’ll tell you why this is important in the next section. When you first start eating low carb/keto, your body has to adjust and make a switch from using carbohydrates to fat for its energy. This transition typically takes about 30 days. The exact amount of time varies. Some adapt to nutritional ketosis (fat burning) in a couple of weeks, some of us take a little longer. During this period of adaptation from carb to fat burner, your workout performance may temporarily suffer. 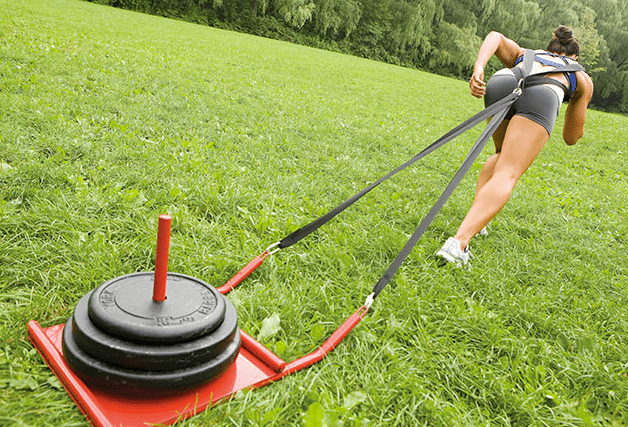 You may feel a little more fatigued between sets and aren’t as strong as usual. This is referred to as the low carb flu and while not dangerous, it doesn’t feel so great at times. So, as you can imagine, if a study is conducted where the subjects eat low carb for less than a month, the results are likely to not be very positive. Only until your body is adapted to using fat for its fuel will you see how a ketogenic diet affects your workout. As I’ve written about previously, there are several ways to make the carb to fat burning process less painful. These tips have helped me and many others suffer much less during my workouts while my body is getting used to using fat for its fuel. Take in extra electrolytes (salt, potassium, magnesium). You can do this by sprinkling a litltle extra salt on your food, eating advocados as they’re rich in potassium and magnesium. You can also take a supplement like ZMA to make sure your daily mineral needs are met. Supplement with creatine monohydrate. Doing this is often a game changer for us low carb/keto dieters. Creatine gives your body a source of instant energy that’s required for an optimal high intensity workout like lifting weights, Crossfit, or sprints. This makes a big difference in anyone’s workout, especially when you’re first adapting to eating low carb and can feel a little weak and lethargic in the gym. Use MCT oil for an instant energy boost. This special fat, found in coconuts, butter, and other foods helps get your body into fat burning mode faster. It does this by increasing your body’s production of ketones which are used as an instant source of energy. Taking MCT oil with meals and before your workouts when eating keto will help you feel energized and ready to get after it, especially during the first few weeks of the diet when we tend to feel fatigued, weak, and lethargic. 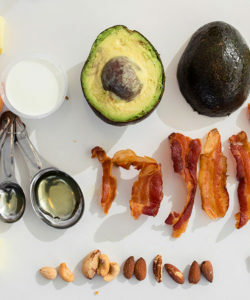 Make sure you’re eating lots of fat and enough protein. Eating lots of fat is very important when you go keto. It helps you stay full between meals, is a great source of energy, and makes everything taste awesome! As I write about, the subjects in this study got 77% of their daily calories from fat. Make this your goal too and you will see how much it helps. Eat plenty of protein. Aim to get about 1 gram per pound of your target body weight every day. This will help you stay full, recover post-workout, build muscle, and get stronger. If you have trouble eating this much protein from regular foods, there are many keto shakes that make it easier. Remember, everything contains carbohydrates. When you’re first starting on this diet, it’s important to keep carbohydrates to a minimum. This typically means you want to eat 30 grams of less per day. This is equivalent to the carbs found in ½ a bagel or a medium sized white potato. The best way to make sure you aren’t eating too many carbohydrates is to focus on eating primarily fatty cuts of meat at every meal. Some of the best foods to eat in this case are ribeye steaks, ground beef and pork, bacon, brisket, and pork shoulder. Chicken and turkey thighs, legs, and wings are good too. If you like seafood salmon, sardines, and mackerel are your best bets. Leafy green vegetables are okay if you like to eat them as are peppers, onions, and avocados. Stay away from fruit until you’re fully adapted. Once your body is burning fat for fuel you may be able to bump up your carbohydrate intake somewhat and stay in nutritional ketosis. Especially if you’re training hard. Consider intermittent fasting. This is my preferred way to stay in ketosis and burn off my excess body fat for fuel. It’s a very simple way to eat that takes all of the hassle out of dieting. All you need to do for a successful fast is skip breakfast and preferably lunch. Then, at dinner you break your fast and eat lots meat and fat from the foods I list above. Eating one meal a day takes all of the hassle out of dieting and makes getting into nutritional ketosis easy. Since you’re going 16-20 hours between meals, your body has no choice but to use your body fat for energy and enter ketosis. As long as you don’t eat too many carbohydrates at dinner it will continue to do this. The results from this study find that you can train intensely on a ketogenic or low carb diet. But that’s not all. The data from this study reveals what I and many others who eat this way already know. That is it’s totally possible to perform better on a keto diet and while losing fat at a much faster rate. McSwiney F, Wardrop B, Hyde P, Lafountain R, Volek J, Doyle L. Keto-adaptation enhances exercise performance and body composition responses to training in endurance athletes. Metabolism Clinical and Experimental. October 2017.